I love hawker food simply because they are yummy, inexpensive and where else can I get chicken rice that won’t burn a hole in my wallet? I have to admit though, there are times when I get a bit lazy to walk to the nearest hawker centre to queue for food. Add the sweltering heat and chope-ing of seats to the equation, food delivery undoubtedly makes it convenient and accessible in many ways. 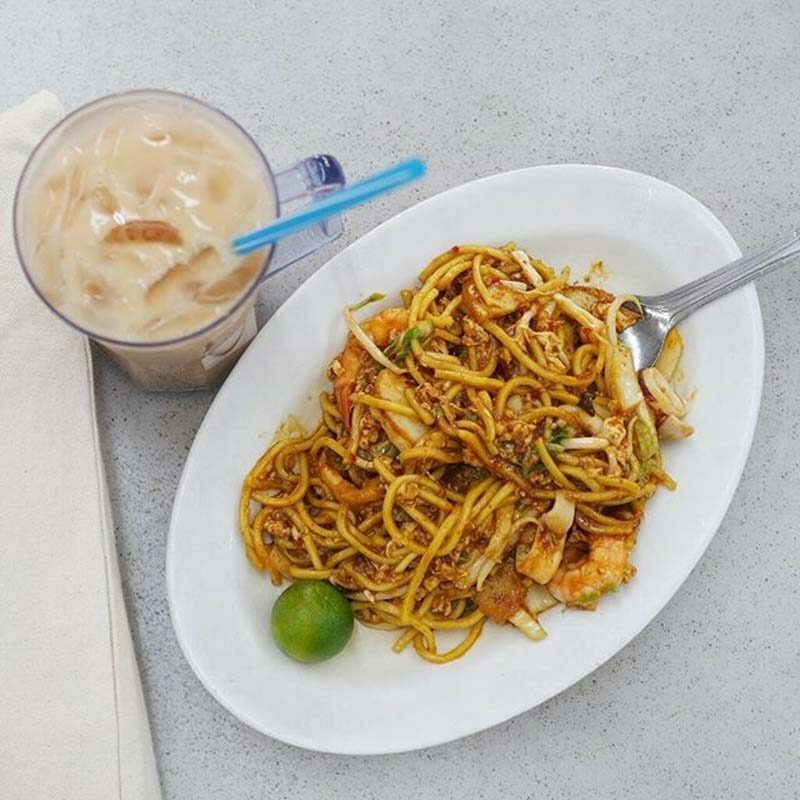 We’ve made things even easier by compiling a list of Hawker Food Delivery Services In Singapore To Satisfy Your Local Food Cravings from your favourite stalls! WhyQ is a food delivery app that brings dishes from over 1,800 hawker stalls island-wide right to your doorsteps whether you’re crunching deadlines at work or unwinding at home. You can get your food without any minimum order and at a low delivery fee of only S$1.50 per item. That’s how affordable it is! 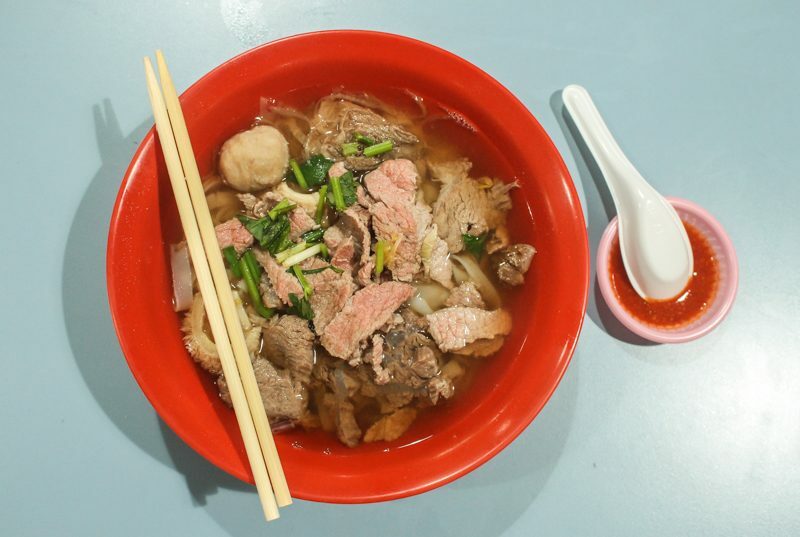 Some of the popular hawker centres include Chomp Chomp, Maxwell, and my favourite, Amoy Food Street Centre. You could also pre-order your food a day in advance, at peak meal times, and up to 30 minutes before your delivery, without having to worry about getting hungry any time of the week. WhyQ delivers breakfast in selected areas too so you can enjoy your nasi lemak before heading to work. It’s good for people like me who are simply lazy and want hawker food delivered to the office or home earlier. If you are looking for corporate catering (*hint Christmas*) get their corporate rate for as low as S$5 per person for company events. Sign up now and enter ‘SETHWHYQ‘ to get S$4 off your first order with a minimum order of S$4, that’s basically a free meal! Good things are meant to be shared, so don’t say I bo jio. For existing users, get 10% off with the promo code of ‘SETHLUI‘ for a one-time order, capped at S$3. If you are one to get hungry at odd timings, Porterfetch does delivery from 9pm – 3am to sate your late-night cravings. 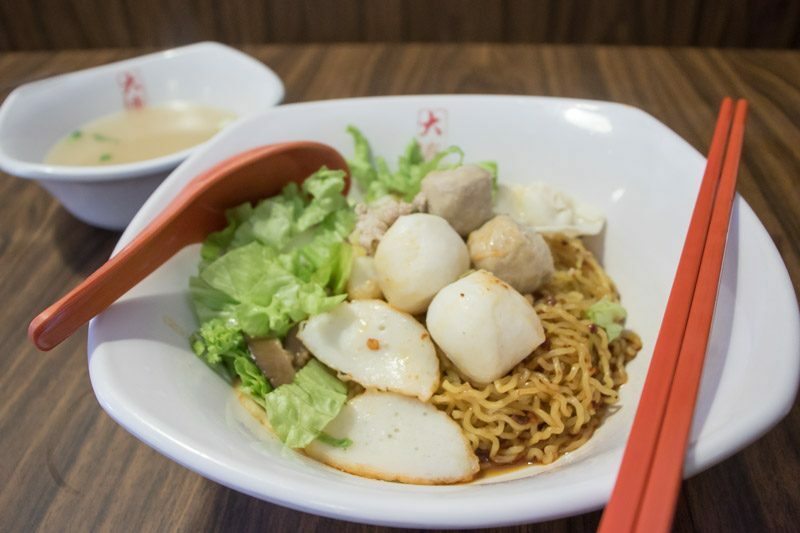 They cover a whole range of hawker food from Dim Sum, Malay cuisine to Mexican food. The Porterfetch website is dummy-proof, so it makes the ordering process easy for people like me who are not tech-savvy. The delivery fee starts from S$5 to S$20, depending on location. This home-grown brand focuses on traditional foodie gems, so you’ll find your favourite supper spots here. 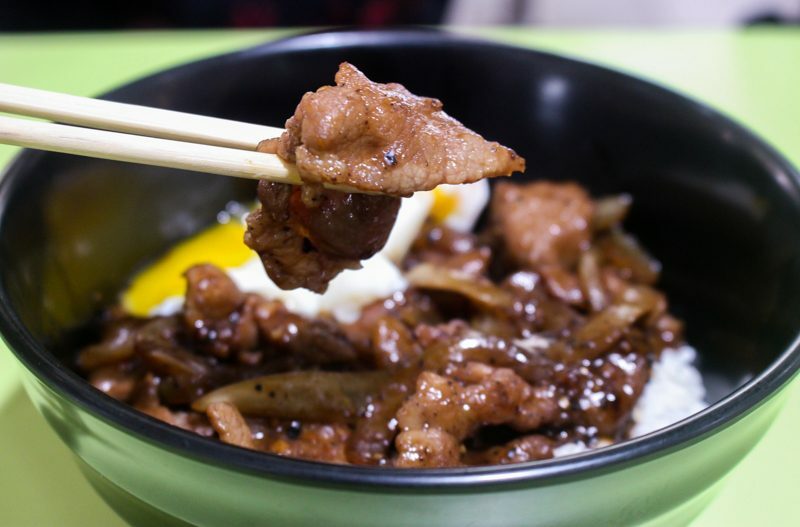 Some of the hawker places include Tang Tea House, Ah Tou Seafood Bak Kut Teh and many more for you to choose from. You can take Netflix and chill to another whole level with these supper options! Plum Food acts as a personal food curator, selecting the best restaurants and hawkers centres for you to choose from. Snack on the tarts and cakes from Tong Heng, or gobble up truffle-infused rice bowls from Chirashi King Kong. With so many food choices right at your fingertips, you’re going to have a hard time choosing. If you are a bit fickle-minded and don’t know what to order, their daily-curated menu might give you an insight into the latest in-season food. They have a reward system where you get S$10 off for every friend you refer — good food brings people together at Plum Food and there is no limit to the number of people you can refer. There is no delivery fee too, but it comes with a catch: you’ll have to collect the food from the nearest designated pick up point. Deliveroo provides options from hawker food to high-end restaurants, all easily delivered to your doorstep. Take note that they don’t have fast food restaurants on their list, but everything else is fair game. My guilty pleasure would be ordering from New Hawa Restaurant over the weekend for my family. Butter sotong, lala, and mee goreng are some of our favourites for a hearty seafood feast. Mmm! The good thing about Deliveroo is that you will know exactly where your rider is, from when the food is picked up, right up to when the driver has arrived. Now you won’t be left hanging, and wondering what happened to your order. Do note that there is a minimum delivery charge of S$3. But psst, keep an eye out, because you can get delivery from certain restaurants for free! A minimum order of S$12 is required, so rally your colleagues or family members to order together. The more the merrier, right? We are all familiar with GrabCar but have you ordered from GrabFood? There is no minimum order so you can get small bites to big meals. For all of you introverts out there, now you can enjoy a single-person delivery order in peace and quiet. With GrabPay, paying is seamless and best of all, you get to earn GrabRewards points too. Who doesn’t love a good reward system that can be redeemed for other things like Grab rides and shopping? Your afternoon snack could go a long way toward your next Grab ride! 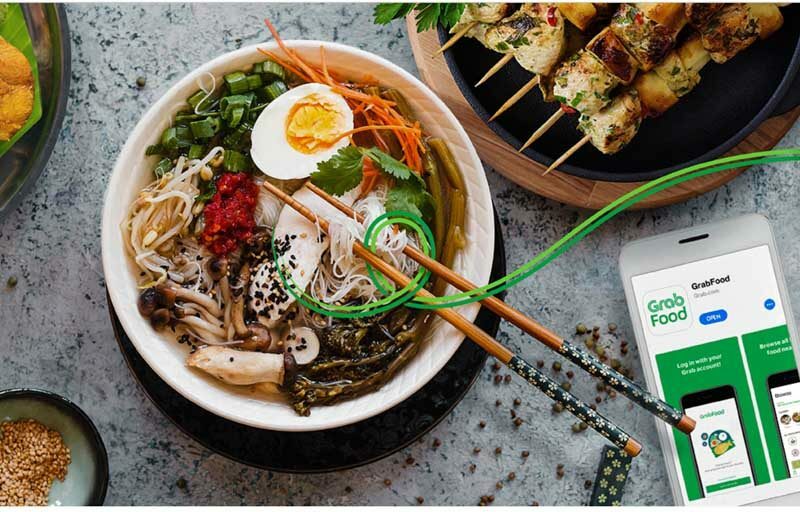 In order to keep your food fresh and ensures it arrives on time, GrabFood limits the available restaurants to those that are within close proximity. Now, you can plan your meals in advance too as GrabFood allows you to book up to four days before the delivery date. With the convenience of technology and options given for hawker food delivery services, there is no reason for you to skip your meals no matter how busy you are! After all, we love our local dishes and these food delivery services just made it easier to have them when the craving strikes. Sometimes I wish my mouth had a Pause button.